It’s been less than a month since Cassandra Clare shared the first snippet from her new short story collection Ghosts of the Shadow Market – read it here – and now we can actually obsess over another brandnew snippet! Back on Thursday subscribers to Cassie’s newsletter were treated to a snippet from a different short story called Cast Long Shadows. This one, written by Cassie and Sarah Rees Brennan, is a “A Last Hours Era story” and features Brother Zachariah as well as Matthew Fairchild. They wandered through the stalls of the Shadow Market. Brother Zachariah was searching for one warlock in particular, who had sent a message saying that he might be of some help. Might I? asked Brother Zachariah. It was fairly obvious what Matthew was angling to know. “It would also be very kind of you if you refrained from mentioning that you saw me at the Shadow Market?” Matthew wheedled, with his engaging smile and a distinct air of apprehension. Silent Brothers are terrible gossips as a rule, said Brother Zachariah. For you, though, Matthew, I will make an exception. It must be a horrible contrast for the Market to behold, Jem thought, seeing this bright and happy boy hanging so carelessly off the arm of a Silent Brother, hooded and cloaked and all but shrouded in darkness. Matthew seemed blissfully unaware of the incongruity. I believe we will be, said Jem. “My cousin Anna says the Shadow Market is tremendous fun,” said Matthew happily. “Of course you know Anna. She’s always tremendous fun herself, and has the best taste in waistcoats in London. I met some very agreeable faeries who invited me, and I thought I would come see. It’s so great to see Matthew and Jem together! We have to admit that we are a bit worried though, because the official synopsis for Ghosts of the Shadow Market mentions “Matthew Fairchild’s great sin”. What could be his greatest sin? 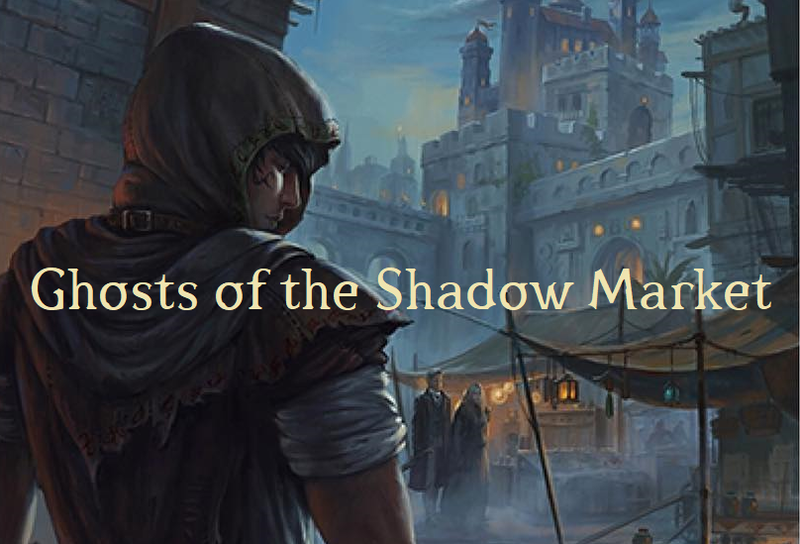 You can also add Ghosts of the Shadow Market and Son of the Dawn to your goodreads TBR list.